had my sleep deprived EEG yesterday... so i stayed home again today to try and get my body back on track. staying up all night just throws everything off so much! i'm really nervous for the results to get back... and i have to wait until next Monday to get them. i'm just praying it won't show seizure activity! 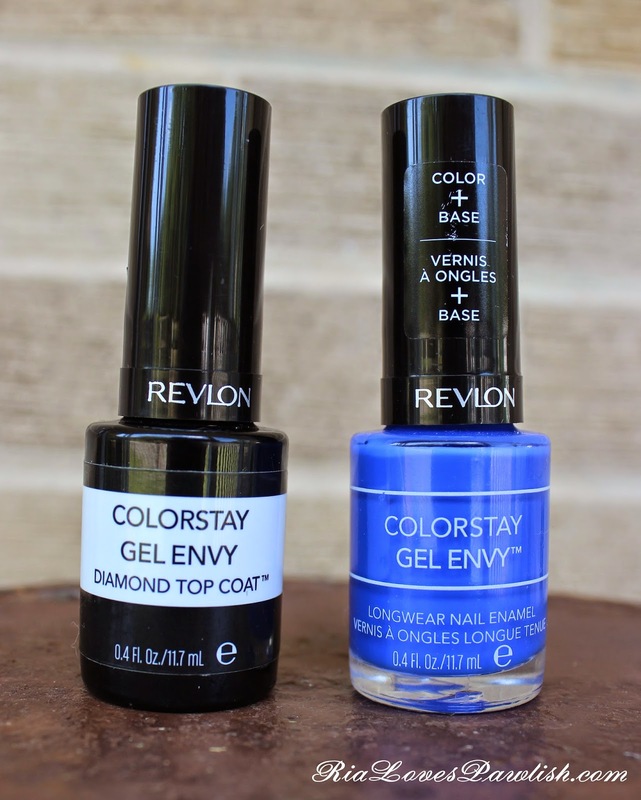 the idea of this line is that you use the colored polish, then add the Diamond Top Coat. 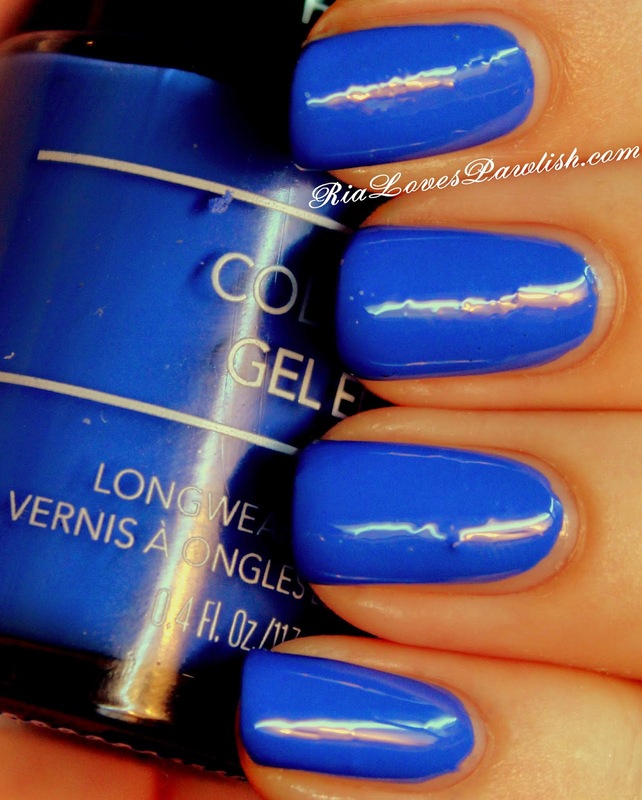 you should then have a gel-look manicure that lasts longer than traditional polish. i ended up only have this combo on for a couple of hours, though! it absolutely refused to dry completely... i do have issues with polishes drying on me, so that could be part of it. however, it bubbled quite a bit as i applied... then, it continued to bubble up more and more as the day wore on! i used two coats of Wild Card, topped with one coat of Diamond Top Coat. Wild Card is a dusty mid-toned blue... a bit dustier than it looks in the swatch! the formula is fairly thick, but easy to work with. you can see some bubbles in the photo... but way more bubbles appeared later! it was quite strange. you can find these at most drugstores and places like Target and Walmart... i bought mine at CVS! i wish i had only bought one color, but i was sucked in by two. i haven't decided if i'm even going to try the other one... it's a shimmer instead of creme, so maybe the different formula will dry better. i will probably give it a go one of these days!